You know how some bands never sound as good live as they do on the album? As if they just couldn't reproduce the same intensity? 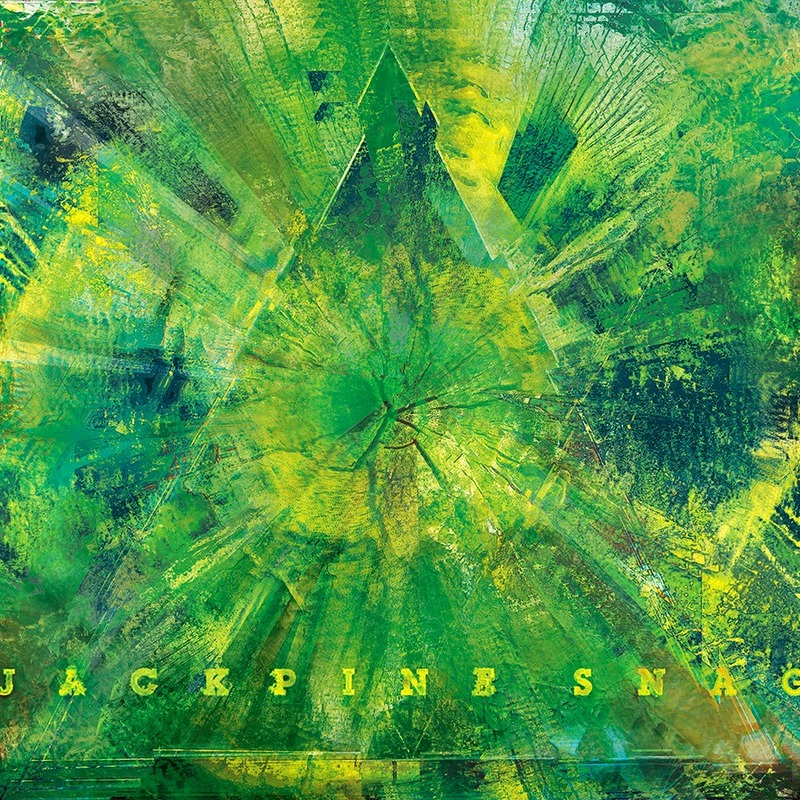 The Jackpine Snag, from Lansing Michigan, is not one of those bands. The three piece band consisting of singer/guitar player Joel Hart, drummer Todd Karinen, and new bass player Jason Roedel offer up their second effort "The Fire Tower" on Silver Maple Records. The band refers to their sound as "Heavy Blues Grunge Doom Rock Stuff", mostly in jest, and although all of those would apply, they don’t fit squarely into any of those. The guitar tones are dirty, low and fuzzy, and even desperate and maddening at times on songs such as ‘La Ventura’, which is also the longest on the album, clocking in at just over four minutes. Short, punchy and to the point is what you'll get. Right from the first track, ‘Brother Eye’ you get the pounding rhythm with that dirty, nasty gritty guitar sound, coupled with Joe Hart's at times soulful and sometime howling vocals. But...what I like most about the Jackpine Snag is their sense of timing. Pauses and rests and changes all seem flawless, and they use plenty of them. If this kind of music kept the same progression and only used three chords, it would be punk. These songs don't do that. A perfect example is track three ‘The Missaukee Strut’. The rests and changes keep everything interesting, and once again the vocals go from a whisper to a howling scream, never making you comfortable, keeping you on edge. For my money, the song ‘The Grand River Float’ really sums up The Jackpine Snag and the album. It highlights all instruments, quick, to the point, and both soulful, nasty and desperate. I like to say to anyone who makes the mistake of listening to me long enough to let me wax philosophical, that good music, no matter what style, should make you feel something, anger, happiness, angst, whatever. Something, ya dig? ‘The Firetower’ makes me feel a little angry, a little sad, especially if you listen to the lyrics. Also, it makes me feel really good, because as intense as these songs are, they are beautifully written. I'm not just saying that to write fluff or out of kindness. I have never, nor will I ever do that. There is a sweet melancholy wrapped around a crashing intensity and fuzz guitar that kinda makes you want to throw some "metal horns" and start stomping around. I don't know about you, but that pretty much does it for me. When any band can do that to me, they win. I'm sold. Incidentally, for the record, I have *NEVER* been fairly blazed, and played *ANY* of the JPS's records at 33 speed, just to watch the walls bleed, and demons flap around the room. Nope. Never happened, and I will continue to deny it.